The demand for mechanical sophistication presented in case sizes suitable for smaller wrists is on the increase and IWC rise to the challenge of fulfilling the need with their new and all-encompassing IWC Portofino Midsize Automatic 37mm collection. Better still, despite the downsized cases the new models retain the supreme uncluttered dial arrangements of the larger pieces. 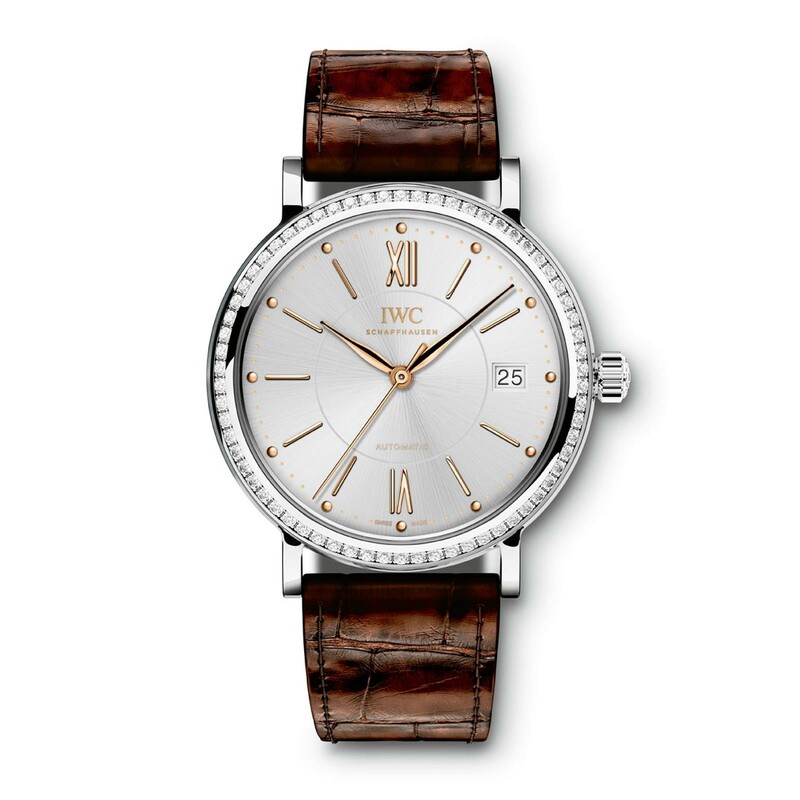 IWC have left nothing to chance and there is quite simply a model for every occasion, from dawn to dusk and even though this new collection is ablaze with diamonds, some of the models will be suited to either their ladies or gents collections. 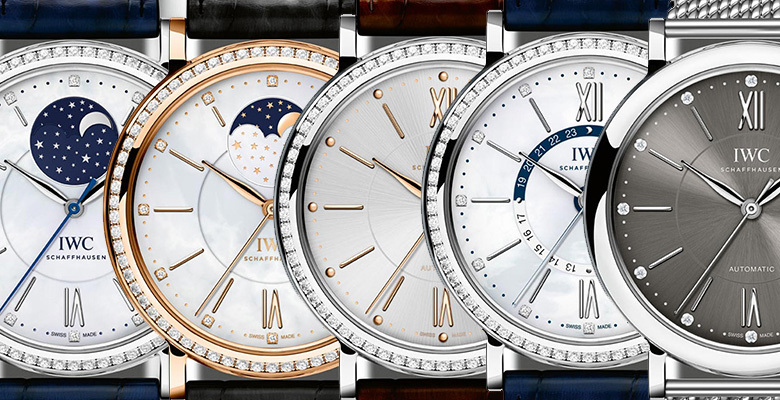 The Moon Phase, the most charming of all wristwatch complications has been part and parcel of the IWC Portofino collection from the outset, so quite rightly it has been given pride of place in the new Midsize portfolio. 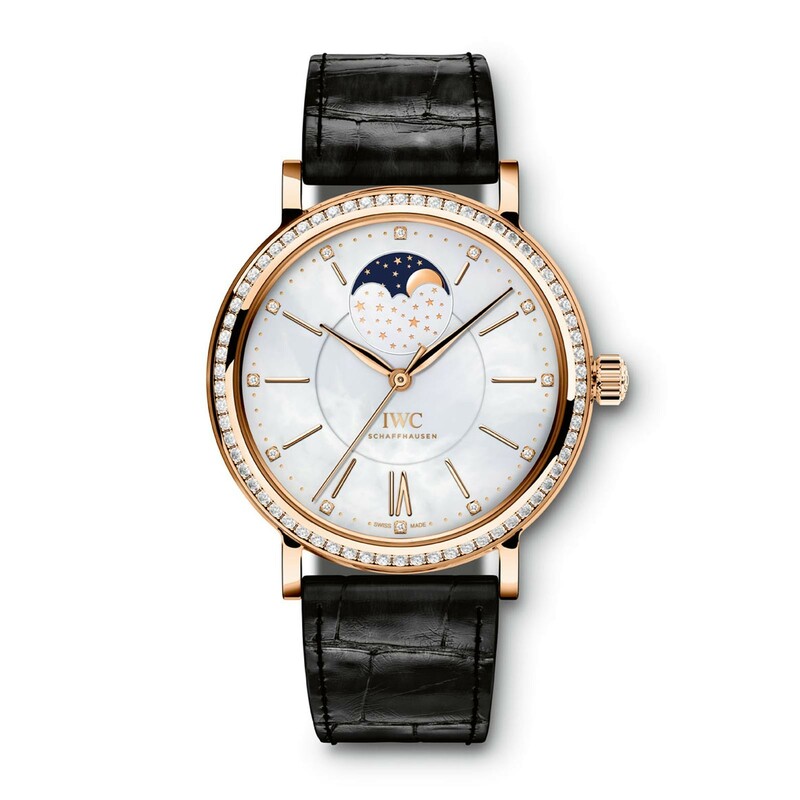 Within the Midsize Automatic Moon Phase collection the pinnacle is the magnificent white gold edition which brings a black lacquered dial to IWC’s portfolio for the first time. Against this rich, glossy darkness the resplendence of the moon phase display with its starry night sky is showcased to superb effect and not surprisingly it becomes the main focus in this perfectly proportioned dial layout. 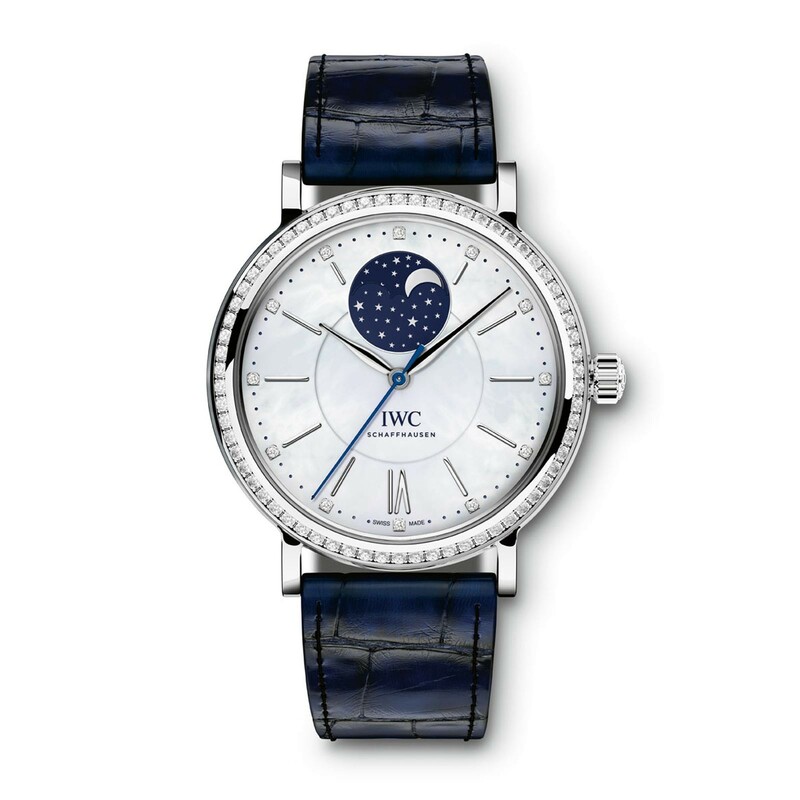 IWC refer to this model as a “Flagship” piece, and they have graced it with a fine array of precious stones. Diamond-set baton markers take up position at each hour apart from at the 12 o’clock where the moon phase resides and an inner circle of sparkling stones forms an affinity with the diamond set bezel. 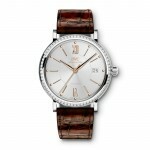 In all, 174 diamonds are set onto the dial, the bezel and on the lugs, making this a truly dazzling timepiece. 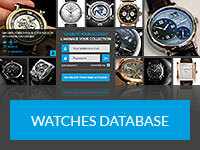 Also in this new Midsize Automatic Moon Phase collection is an 18-carat red gold case edition with a white mother-of-pearl dial presented on a black alligator strap or on a Milanaise mesh bracelet; an 18-carat red gold case edition with a black mother-of-pearl dial presented on a dark brown alligator strap and a stainless steel case edition which has a white mother-of-pearl dial and a dark blue alligator strap. These models have 66 diamonds on the case and 12 set onto the dial. The automatic Calibre 35800 powers these new Moon Phase editions providing a power reserve of 42 hours. Practical and beautiful, the new Portofino Automatic Day & Night models have the added usefulness of a second time zone and day/night display, making them the perfect choice for the well-heeled traveller. On white mother-of-pearl dials, the elegant hour, minute and seconds hand display the local time, while a blue hand points to the inner 24-hour ring to indicate the second time zone with its decisive little arrow tip. Dark blue on the upper half of the 24-hour ring indicates night-time hours from 6pm to 6am. Two editions will be available each powered by the IWC automatic Calibre 35700 which attains a power reserve of 42 hours. The stainless steel case model comes presented on a dark blue alligator strap and the 18-carat red gold piece is secured to the wrist with a black alligator strap. Brilliant diamonds add a touch of luxury, with 66 set onto the bezel and a further 12 on the dial, to mark each hour in style. The three-hand Portofino Midsize Automatic models offer uncluttered elegance and the choice of a polished bezel for those who lean towards plainer aesthetics. This is an extensive selection which on its own would easily fill up an entire glass cabinet or jeweller’s shop window display. 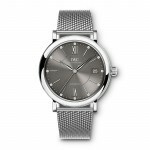 It offers a beautiful miscellany of models and clients can choose from slate-coloured dials or silver-plated dials with or without diamond-set bezels, each of which has a perfectly positioned and proportioned date window at the 3 o’clock location. Alligator leather strap options include black, dark brown, grey, orange, and lilac or there is an option of a Milanaise mesh bracelet. 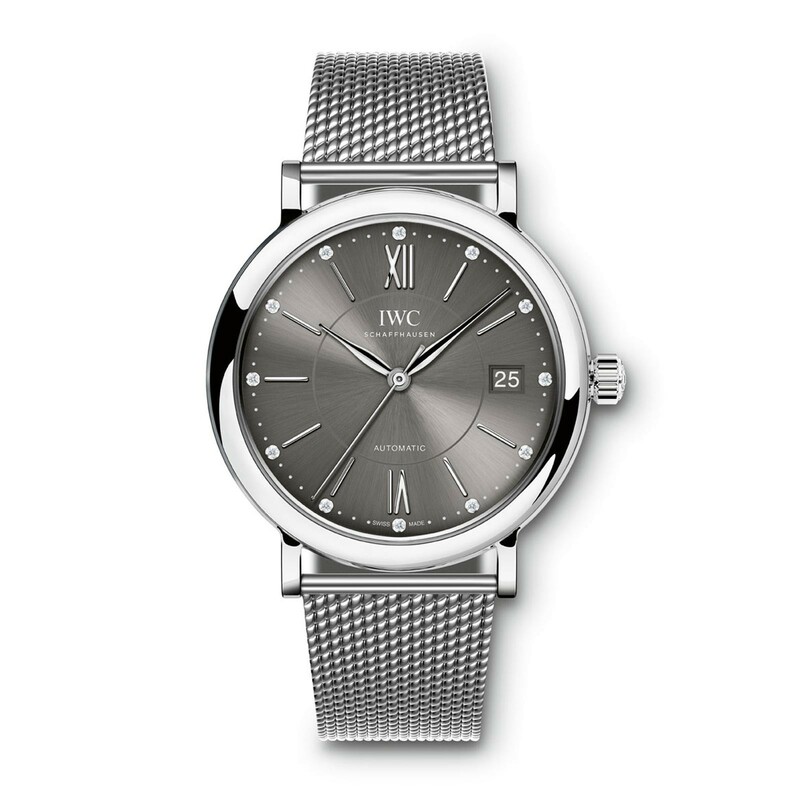 The IWC automatic Calibre 35111 provides power to these pieces attaining a power reserve of 42 hours.